Article 7 of law n° 2016-35 of 25 April 2016 providing for the BCT Statute assigns to the Bank the main objective of ensuring price stability, contributing to financial stability in a way to boost the State economic policy in terms of growth and employment. By contributing to achievement of a sound, durable and non-inflationary economic growth, the monetary policy will foster a high employment level and boost competitiveness of the national economy. To reach its target of price stability, the Central Bank of Tunisia uses the interest rate as a privileged instrument in conducting the monetary policy. Thus, in line with its forecasts on inflation and economic growth, the Central Bank of Tunisia adjusts the level of its Key rate which directly impacts the day-to-day interbank rate, considered as an operational target of the monetary policy. The latter influences, in its turn, by-term structure of the rates, helping thus to take actions as regards the financing conditions of overall economic agents. The operational framework for implementing the monetary policy rests, by reference to circular 2017-02 relative to monetary policy implementation, on a variety of operations at the Central Bank discretion and on two standing facilities available upon banks’ initiative. The Central Bank which is endowed with a set of instruments enabling it to implement its policy in a context of liquidity surplus or deficit, can orient the day-to day interbank interest rate towards levels close to the BCT Key rate. In fact, day-to-day rate (TM) has a direct influence on the money market monthly average rate (TMM), which is a rate of reference that is largely used by the Tunisian banking system. Banks are obligatorily subdued to constitution of reserve requirements in the form of deposits at the Central Bank of Tunisia. The reserve requirement system aims mainly at stabilizing the money market rates thanks to an average constitution mechanism and creating or even accentuating the need in base money so as to help the Central Bank of Tunisia to efficiently intervene as a liquidity regulator. The amount of the reserve requirement is determined by applying a rate schedule to the basis constituted by deposits in Tunisian dinar. The period for constitution of the reserve requirement for a given month ranges between the first and the last day of the following month. Elements entering in the basis of the reserve requirement are extracted from the accounting monthly statement of the considered month. 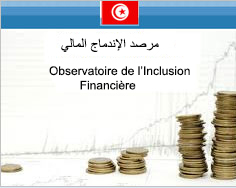 Operations upon initiative of the Central Bank of Tunisia are carried out for steering day-to-day interbank interest rate, managing bank liquidity and indicating monetary policy orientation. 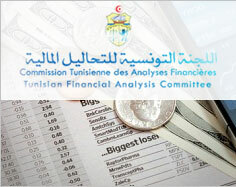 The Central Bank of Tunisia decides upon the execution conditions and the instruments to be used. 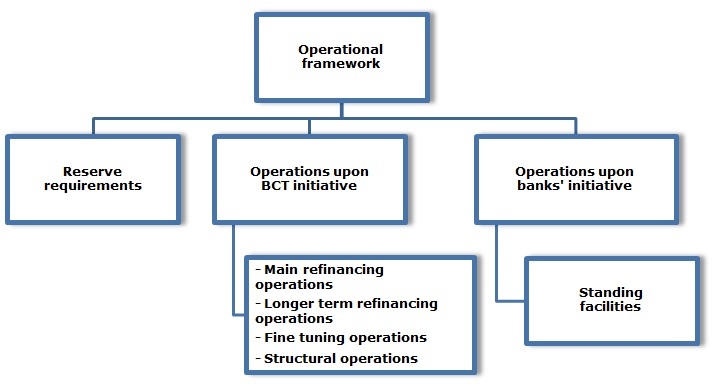 Main refinancing operations : These operations represent the main tool of liquidity provision by the BCT. They play a Key role in interest rate steering and signal the monetary policy stance. The minimum interest rate applied to the main refinancing operations is the Key rate of the Central Bank of Tunisia. The latter is set by the Executive Board of the Central Bank of Tunisia consistently with the price stability target. Longer-term refinancing operations : These operations consist in supplying additional liquidity for longer maturities than the main refinancing operations. Fine tuning operations : These operations are carried out on ad-hoc basis to correct the effect of unexpected fluctuations of bank liquidity on the interest rates. They have shorter durations than the main refinancing operations. Structural operations : These operations aim at managing a durable situation of deficit or surplus liquidity. The main refinancing operations and the longer-term refinancing operations are exclusively carried out through temporary transfer operations in the form of a guaranteed loans or allowance uptake. Fine-tuning operations can be carried out through temporary transfer operations, swap exchange operations for monetary policy purposes or collection at fixed-term deposits. Structural operations can be carried out through firm purchase or sale of negotiable assets be them public or private, including Islamic sukuk, swap exchange for monetary policy purposes, collection at fixed-term deposits or issuance of BCT debt certificates. Banks may have recourse upon their own initiative to BCT standing facilities. The standing facilities include marginal loan facility and deposit facility meant respectively to supply and withdraw liquidities on a day-to-day basis. Rates applied to standing facilities make up a corridor within which day-to-day interbank rates fluctuate, with the marginal loan facility rate as a ceiling and the rate on the deposit facility as a floor. 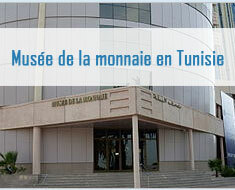 The Central Bank of Tunisia can, at any time, modify or interrupt the standing facilities. The Executive Board of the Central Bank of Tunisia decides regularly upon, interest rates applicable to standing facilities and the date of their entry into effect. The marginal standing facility : Banks can use the marginal loan facility to secure from the Central Bank , through a temporary transfer operation in the form of a guaranteed loan or allowance uptake, twenty-four hour liquidities at a pre-determined interest rate by using eligible assets as collaterals. Deposit facility : Banks can use the deposit facility to carry out twenty-four hour deposits at the Central Bank of Tunisia at a pre-determined interest rate. The BCT provides non guarantee in exchange of deposits carried out at the Central Bank by eligible counterparts. In order to protect the Central Bank balance sheet against credit risk, refinancing operations are carried out on the basis of an appropriate security. To this end, and in compliance with a list of criteria predefined in circular n°2017-02, the Central Bank accepts as a collateral of the refinancing operations, negotiable assets including negotiable debt securities, be them public or private, mobilized through the Central Depository Tunisie Clearing, and non-negotiable assets, materializing banks claims on businesses and private individuals mobilized directly at the Central Bank via the Unit of assets eligible to refinancing.